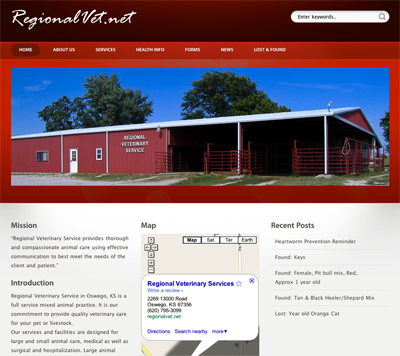 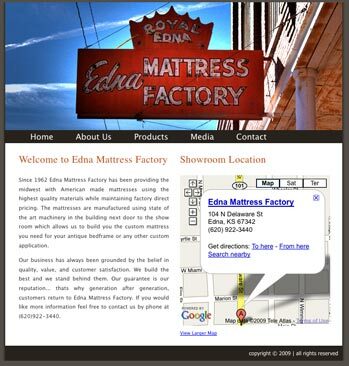 RegionalVet.net is built on top of wordpress and has integration with facebook and multiple contact forms. 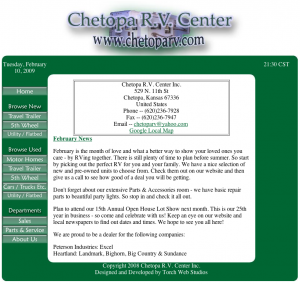 I would look for lots of useful information coming out of this site if you own or are thinking of owning pets. 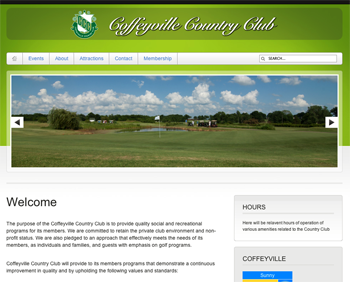 I used a wordpress backend for easy management by multiple authors for the new Coffeyville Country Club website, we are still filling out sections of the site and working on new ideas.